I have been privilaged to review some excellent Monster products in the past, and they have yet to disappoint. So naturally when given the opportunity to review something new, I naturally jumped at the chance! Today it is the Monster DNA Pro 2.0. The Monster DNA Pro 2.0 has proved to be a bit of an evolution in the way we can listen to our music. They are a fairly standard over the ear design, with folding ear cups for more portability. They are the brain child of Noel Lee, the Head Monster, and have been critically acclaimed to have the best overall sound among all genre. This is where they stand apart from everyone else, as they achieve this feat with their sound app, for iTunes. Want to listen to 50 Cent, and listen to the way 50 Cent intended, just select the 50 Cent profile in the app. With the Monster DNA Pro 2.0, you can listen to your music the way the artist intended, thanks to the "Pure Monster Sound Experience" app that is available in the iTunes app store. And all of this can be yours for only $299. Fresh Aire II: Going To A New Place, strings were extremely crisp and clean with nice dynamics. Piano sounded sufficiently natural. Flute sounded smooth with lots of air. Kick drum was dynamic, tight and had lots of kick with excellent extension and authority. I loved the amount of resolution and detail I could hear. Steve Miller Band: Swingtown, percussion and guitar had excellent crispness and resolution, the kick drum and bass guitar played deep with excellent output. Vocals were very natural sounding with very good texture. No Doubt: Hella Good, had excellent crispness and dynamics in the percussion. Bass provided in your chest impact and excellent depth and authority. Vocals were natural, smooth, with very good texture and resolution. The energy in the track was delivered in spades! Eric Bibb: Don’t Ever Let Nobody Drag Your Spirit Down, percussion was clean with good resolution. Bass was deep with good authority. Piano was very natural sounding and very dynamic. Imaging was very good and they threw a large sound stage. Vocals had excellent resolution and were very natural sounding. The Monster DNA Pro 2.0 represent an evolution in the way we can listen to our music, when used with the new "Pure Monster Sound Experience" app. I save seen and heard it in action, and it truly is something to behold. And they are built to last and sound excellent as well. They deserve to be on your short list. 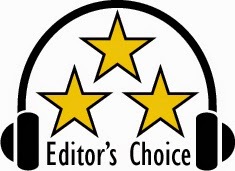 Based on their design, features, quality, and performance, the Monster DNA Pro 2.0 have earned our Editor's Choice Award. For more info and complete specs, check out their website at www.monstercable.com.